Glass coffee table with a square glass top and Chrome legs.Includes toughened safety glass. Available from stock for a 5-7 day lead time. Easy to assemble. 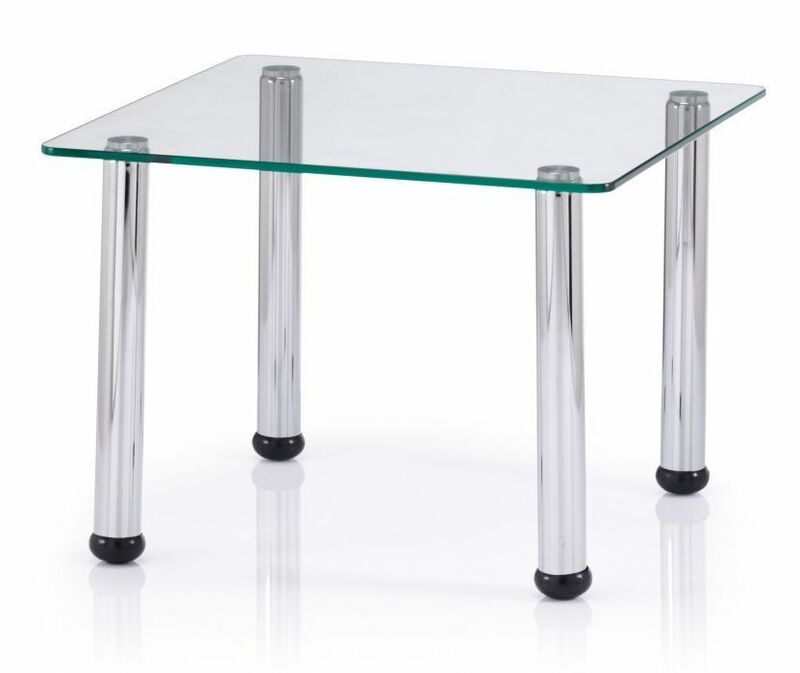 Square coffee table with rounded edges and four attractive chrome plated legs. This range can be delivered within a 5-7 working day lead time frame.